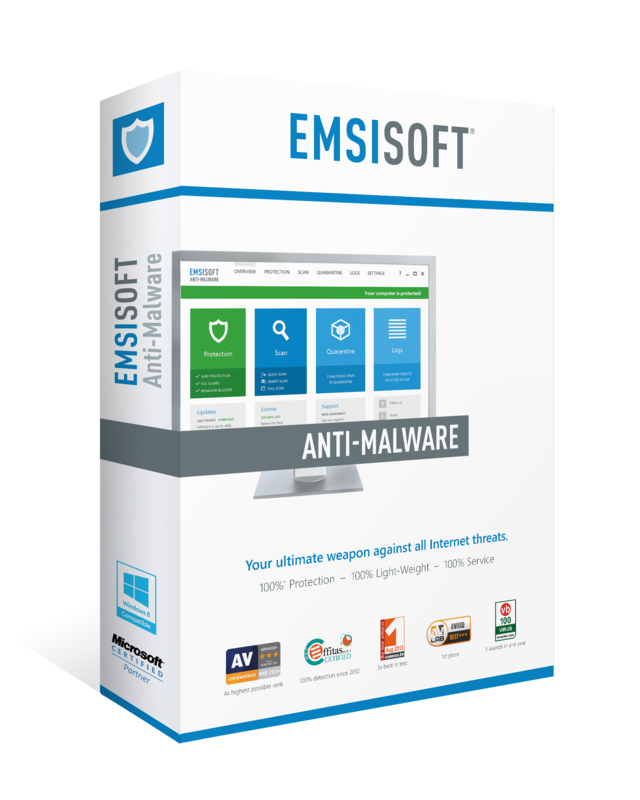 Emsisoft Anti-Malware – The ultimate weapon against all Internet threats. It’s a place where home and business computer security is engineered to perfection. It’s a software that eﬀectively detects new threats before your computer is compromised. It’s an innovative Anti-Malware that is eﬃcient, powerful, unobtrusive and minimalistic. Malware Removal Guarantee – Receive personal assistance in emergency situations instead of being forced to ﬁll out an anonymous support form that might not get a reply. Emsisoft is a premium software vendor, for premium customers, and oﬀers a malware removal guarantee. Customer Integrity – Treating customers in an honest and respectful manner is the foundation of sustainable business. Emsisoft doesn’t share your data and doesn’t betray customers for a quick proﬁt made through nasty toolbar bundles or governmental interests. Emsisoft simply oﬀers eﬃcient Anti-Malware, for your computer and you. Proactive Prevention – Emsisoft Anti-Malware is a proactive weapon, made to prevent infection from all Internet threats. It protects you from worst case scenarios, like data- or money-loss and identity theft.